As part of my series on Paprika, the spice who’s journey I am tracing all across the globe, I am going to look at the longest portion of the spice’s trip first and how you could look at doing this journey yourself – the Transatlantic Cruise! Now while the old routes from the coast of South America to Europe don’t operate with such frequency as they did during the 1700’s & 1800’s, transatlantic travel is still very popular between the USA/Caribbean and Europe. Most people are aware that cruises are offered in the popular destinations of the Mediterranean and Caribbean, but what’s important to note is that the good weather in these regions, particularly the Mediterranean, is very seasonal. During the Winter gale-force storms roll in across the Mediterranean bringing cold, heavy rains and rough seas making cruising unpopular at that time. It would be silly for cruise companies to waste vast amounts of money leaving their ships waiting in harbours for the busy season, so during those times, the ships make their ways across the Atlantic to the warmer weather in Caribbean. Rather than run these journeys at a loss, cruise companies sell places on the ships at discount meaning you get to enjoy all the luxury of your regular cruise at a fraction of the price. This favourite of Americans and Europeans alike operates cruises in the Western Mediterranean, Caribbean, East Coast of North America, Eastern Pacific and Hawaii. 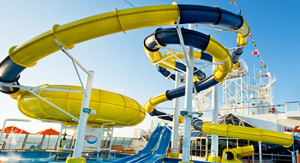 Popular with families this cruise line has great all-round entertainment and family-friendly activities. Cruises have a range of lengths with the trans-atlantic clocking in at about 16 days departing from Barcelona, heaving via Malaga, the Canary Islands, Turks and Caicos islands in the Caribbean and ending up in Galveston Texas. A regular cruise of this length would start from about R10,000 per person, the transatlantic cruise however goes for a fraction of the price starting at about R6,500 per person sharing! 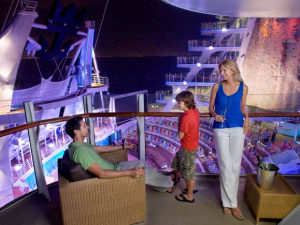 This is a popular cruise line with young professionals as well as families. 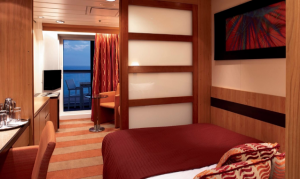 Known for it’s above average quality of service and features on board – it could probably be equated to the Virgin Atlantic of cruise ships with a funky attitude and plush, modern decor, it’s a little bit rock star. 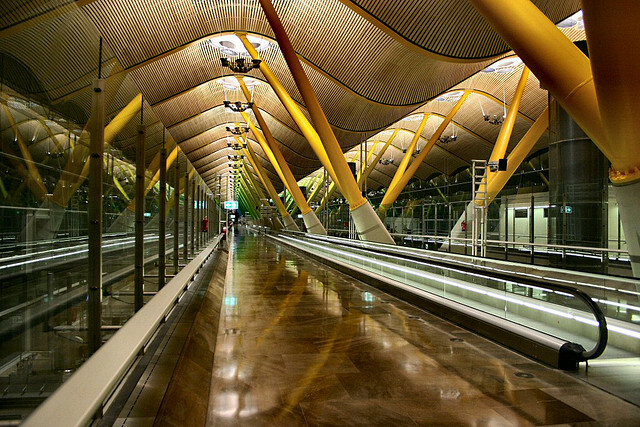 Their Transatlantic route goes from Barcelon via Malaga, Madeira, Canary Islands and Miami and is about 14 nights. Prices start from about R5,800 per person sharing, a nice drop from the regular R8,500 you would expect to pay for a 14 night Caribbean cruise on the same line. This is a smaller cruise line than the rest I’ve mentioned and not as well known, though it is one of the larger players in Europe. It has a very wide range of destinations like the Indian Ocean, Red Sea, Far East, Mediterranean, Caribbean and and South American Coasts. Their ships are often smaller meaning you don’t have to share your space with 1000’s of other families, ships start from Cabins with 383 cabins upwards. Their transatlantic routes include trips from Europe to Brazil and routes from Miami via the British Virgin Islands, the Canary Islands, Madeira, Malaga, Corfu in Greece, Dubrovnik and Venice for 19 nights. Prices start from about R11,500 which is a lot more than the R23,000 you might expect to pay regularly for such a cruise length. Glamorous front-runner of the cruising world, Clrystal Cruises offers the discerning traveller an element of luxury and exclusivity beyond that available on the regular cruise lines. Destinations on offer encompass only the best in Alaska, the Pacific, Asia, Africa, the Middle East, Mediterranean, Caribbean and Europe. You can expect to find only the finest attention to detail while you are waited on hand and foot on what will undoubtedly be a memorable journey of sublime proportions. 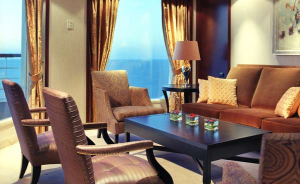 A 13 day cruise such as the transatlantic one could set one back about R44,000 per person sharing (entry lever suite). Your transatlantic cruise will take you from Lisbon to Casablanca, Canary Islands, St Maarten and Miami and will cos you a more modest R30500 per person sharing for this sublimely exclusive luxury. World superstar of cruising is is Royal Caribbean Cruises, famous obviously for it’s Caribbean destinations it also offers Central and South America, Northeast Coast of America, Pacific coast, Australia & New Zealand, Asia, Dubai, Europe and the Mediterranean. It’s massive super-ships are literally floating resorts complete with wide ranges of bars, restaurants, pools, sporting activities, spas and so on. Hugely popular the world over, you’re guaranteed to have a fun time on board. Families with kids can expect them to be taken care of from dawn till dusk and thoroughly enjoy it! Their transatlantic route will take you from Malaga to the Canary Islands, Madeira, St Maarten, and San Juan, Puerto Rico and will set you back the miniature amount of around R4000 per person for the 13 night journey, a massive discount compared to the regular R7500 cruise options for the same length of stay! Just remember with all these cruises when departing from one city and returning from another in a different continent, flight prices could be considerably more, remember to speak to your consultant about working out the best priced options. Rates above for all cruises are based on specials advertised in US Dollars and Euros for international brochures. For precise Rand rate for purchases in South Africa on the day, contact one of our consultants.